Supported by a team of expert professionals and sound manufacturing facility, we have been able to bring forth an excellent quality range of Silicon Steel Lamination Transformers (1 phase / 3 phase up to 500kva). These transformers are precisely manufactured using optimum quality raw material, which is sourced from reliable vendors of the market. Further, to meet the application specific requirements of clients in various industries, we offer the range in various specifications. 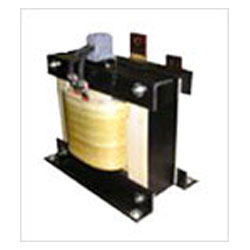 Our esteemed clients can avail immaculate Single Phase Isolation Transformer. Manufactured by making use of high-grade basic material and components, these products conform to the defined parameters of the industry. These products are widely applied to the single phase power supply of import-export equipment, safe-isolation power supply, step up-step down power supply, rectifier equipment power supply, detecting system power supply and kinds of machinery power supply. Furthermore, to cater to the diversified demands of the clients, we offer these products in different specifications. We are offering our valued clients with Single Phase Transformer. These offered products are precisely developed with supreme quality basic material and latest advanced technology. Conforming to the defined parameters of the industry, these offered products are extensively used for lighting and heating applications. 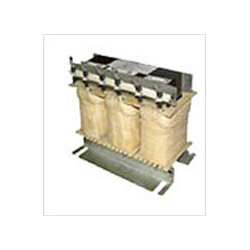 To meet divergent demands of the clients, we offer these products in different specifications. We are offering our clients with remarkable EI Transformer. 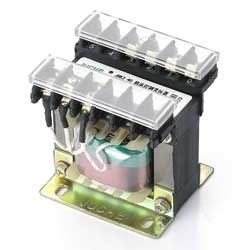 Developed with high-grade basic material and components, these transformers satisfy defined parameters of the industry. Furthermore, to meet diverse demands of the clients, we offer these products in different specifications that can customized as per their requirements. 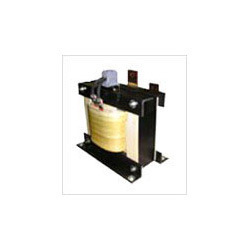 We are widely appreciated for offering significant Instrument Transformer. Developed using optimum-quality basic material, these offered products hold incomparable attributes. Furthermore, these transformers are designed with high precision so as to meet expectations of the clients. We bring forth heavy-duty Phase Shifting Transformer for our esteemed clients. Designed to excellence, these offered products are comply with the illustrated parameters of the industry. 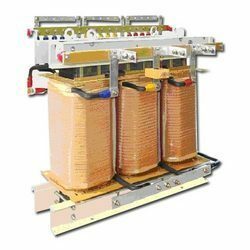 These products are a quad booster specialized transformer that control the flow of real power on three phase electricity transmission networks. Our valued clients can avail these products in different specifications as per their requirements. These transformers are available with us in different specifications suited to the diversified demands of the clients. We hold expertise in designing and developing remarkable Silicon Steel Lamination Chokes. Designed with utmost precision, these offered products meet industry laid parameters. Furthermore, keeping in mind diversified demands of the clients, we have made these products available in different specifications that can customized as per the requirements. We are providing our valued customers with impeccable Step Down Transformer. Designed with high precision, these offered products efficiently reduce electrical voltage. Keeping in mind divergent demands of the clients, we offer these products in different specifications. We are engaged in designing and developing the best Silicon Steel Lamination Transformers. Based on advanced technology, these offered products are in compliance with the defined parameters of the industry. Therefore, these products are able to meet requirements of various industries like power supply, medical and automobile industry, power conditioning and telecom industry. Our valued clients can avail these products in different specifications as per their requirements. Looking for Silicon Steel Lamination Transformers ?